The friends of woman accused of snatching her two daughter are shocked at her arrest. HOUSTON -- Two sisters who disappeared from Rhode Island with their mother in 1985 have been located in the Houston area, and their mother was charged with snatching them, police announced Tuesday. An anonymous tip two days before Christmas led police to Kimberly and Kelly Yates and their 69-year-old mother, Elaine, said Rhode Island State Police Lt. Col. Joseph Philbin. 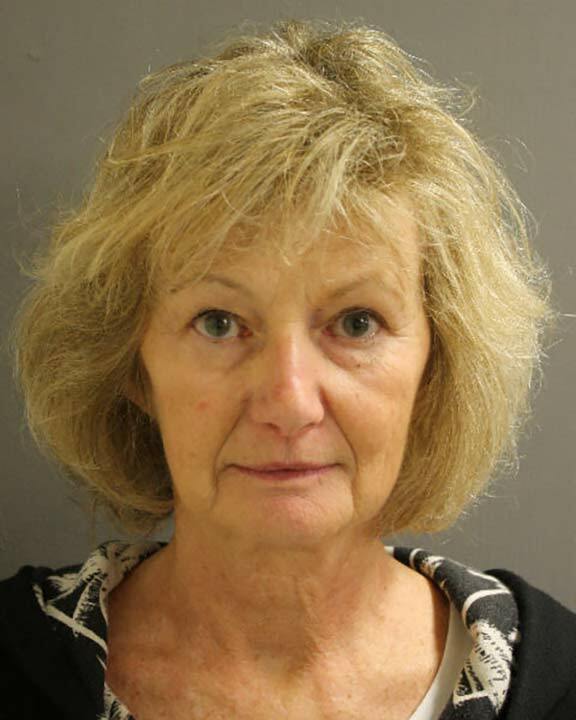 Elaine Yates, who had been living in Houston under the name Liana Waldberg, was arrested on Monday without incident and faces arraignment Wednesday in Rhode Island. Kelly was 10 months old and her sister was 3 years old when they disappeared. Kelly, now 32, and Kimberly, now 35, were not living with their mother but are in the Houston area and are in good health, Philbin said. The girls' father, Russell Yates, was told of her arrest immediately after it happened and is relieved, Philbin said. His contact information was given to his daughters, Philbin said. "I've always been trying to find my children. Now at least, it's up to them to get in touch with me," Russell Yates told reporters. Yates told The Providence Journal in a 1988 magazine story that his wife had discovered he had been unfaithful to her and had threatened to move out in the middle of the night with the children. He also acknowledged punching her while they argued. A few weeks later, on Aug. 27, 1985, he came home after work around 2 a.m. and found them gone. The case was featured on "America's Most Wanted," and police received tips from all over the country, including from Colorado and Florida. Investigators reviewed the case and spoke with Russell Yates at least once a year, Philbin said. But it wasn't until they received the anonymous tip that they cracked the case. Authorities said they used court databases, Facebook and driver's license photos to identify the mother and daughters. He said they compared their photos with baby photos to help identify them. Court records show that Elaine Yates legally changed her name in Texas to Liana Lynn Waldberg seven years ago. The judge's order includes her correct birthdate and maiden and married names. It says the Texas Department of Public Safety had examined the petition and found she had no recorded criminal history. At the time, a felony warrant for child snatching issued in 1988 was outstanding in Rhode Island. The name change order was filed Aug. 26, 2009, 24 years to the day after she disappeared with her children. 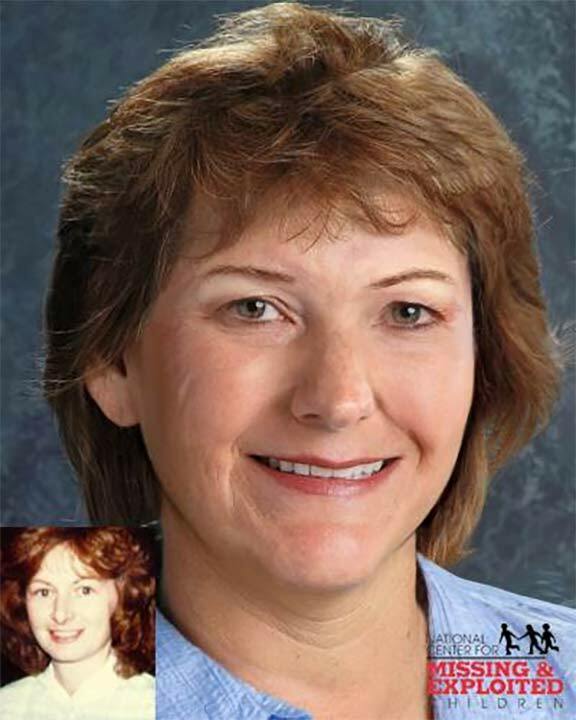 This age progressed photo from the National Center for Missing and Exploited Children shows Elaine Yates, believed to have abducted her two daughters in 1985. Neighbors Jesse and Fran Vaughan, who live in the same condominium development as Elaine Yates in affluent West Houston, said Tuesday that Yates seemed like a nice person. "It is a shocker," Fran Vaughan said of the charges. The Vaughans, who have lived at the complex for 17 years, said Yates was in charge of putting together the newsletter for the homeowner's association, and said they weren't aware that Yates even had daughters. "Come to think of it, I don't know if anyone knew her that well," Fran Vaughan said. Associated Press reporters knocked on the doors of the addresses listed in records for Yates in West Houston and her daughters in Deer Park and Baytown. No one answered at any of the three residences. Philbin would not comment on where the family had been since 1985 and said he did not know when they got to Houston. He said he could not comment on whether the girls knew they had been taken, or whether they knew their father was still alive, citing the ongoing investigation. As for the mother, Philbin said she had been successful in getting away with her crime for 31 years. He described her as being very cooperative with investigators since police knocked on her door Monday. As of Tuesday, she was en route to Rhode Island, after waiving extradition and being arraigned in Houston, police said. Asked if Elaine should be prosecuted, Russell Yates said: "That isn't going to help me, her or anybody else at this point. I just want to see my kids." It's the second time in less than a week that police in the U.S. announced they had solved an old child disappearance. On Friday, authorities in Florida charged a woman with kidnapping a newborn from a hospital 18 years ago and raising the child as her own. The 18-year-old, Kamiyah Mobley, met her biological parents Saturday in Walterboro, the South Carolina city where she was raised under a false name.